Goals: To update a decade-old internal website with the launch of a redesigned, reimagined intranet site using WordPress. 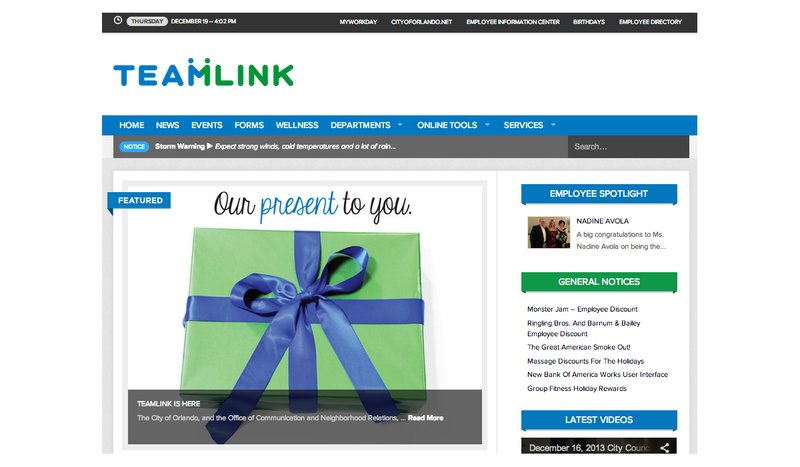 Named TeamLink, the City’s new internal website is employees’ first point of contact with various departments and other employees. This site offers improved ways to find news, events, forms and information about services offered to City employees. It is built with current website practices, allowing for one fluid design and faster changes to content, as well as a handy search tool. In addition to assisting with the website layout, the Graphics team was also called upon to devise a marketing campaign around the launch that would coincide with the holiday season. 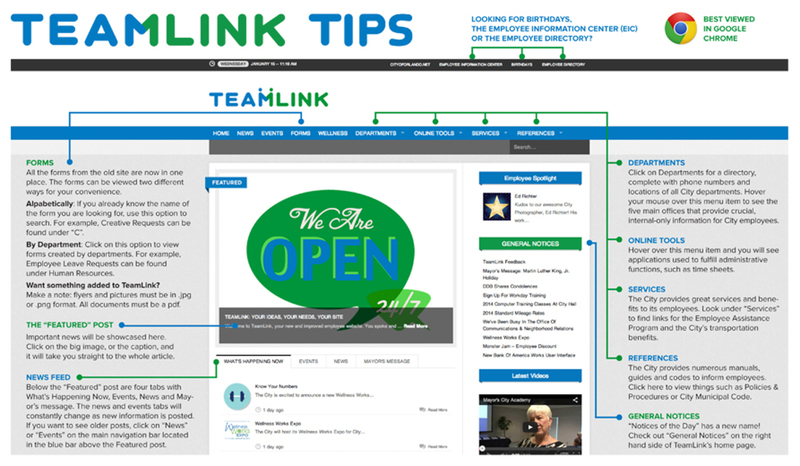 TeamLink officially launched on January 6, 2014. To begin the process of redesigning the internal site, the Interactive Programs team did small focus groups of City employees to survey their needs (and if they were being met by the former site) from the internal communications hub. These focus groups showed that the formerly used CityIntra site was confusing, had many different page layouts (developed and edited in Microsoft Publisher) and contained outdated content. Employees also noted individual forms were difficult to find, as there was no search tool for the site. Using this feedback, the Interactive and Graphics team prepared several mockups for the redesigned site, focusing on easy-to-navigate menus and prominent News & Events posts. Simultaneously, the teams brainstormed what to call this site, finally deciding on TeamLink – playing on the City being a “team” linked together by this one, central, digital space. 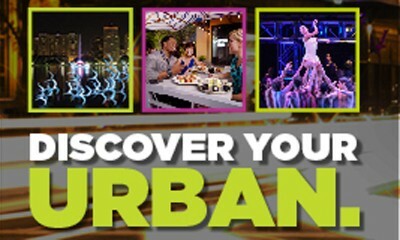 To help prepare City employees for the intranet switch, the Graphics team was asked to devise a marketing campaign to “tease” to the coming changes. 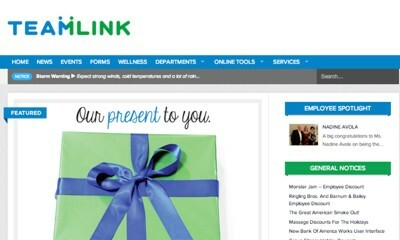 The Communications team wanted to focus on how the site took ideas from employees and designed the site to fit individual needs; our tagline became “Your ideas, your needs, you site.” Because the launch of TeamLink would coincide with the holiday season, we presented the new site as the City’s “present” to each employee. In order to drive the marketing message for this site, I personally devised a tagline themed poster campaign. A stop-motion video was also produced and distributed internally, highlighting the new features of the site. 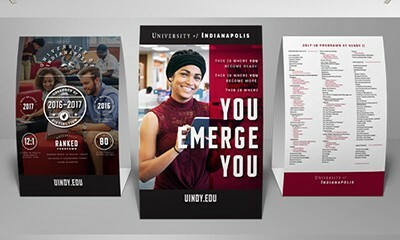 Graphics: My team assisted with the initial website mockups, helped with the graphical elements used on the final site, and designed the logo that would be used to brand the internal hub. 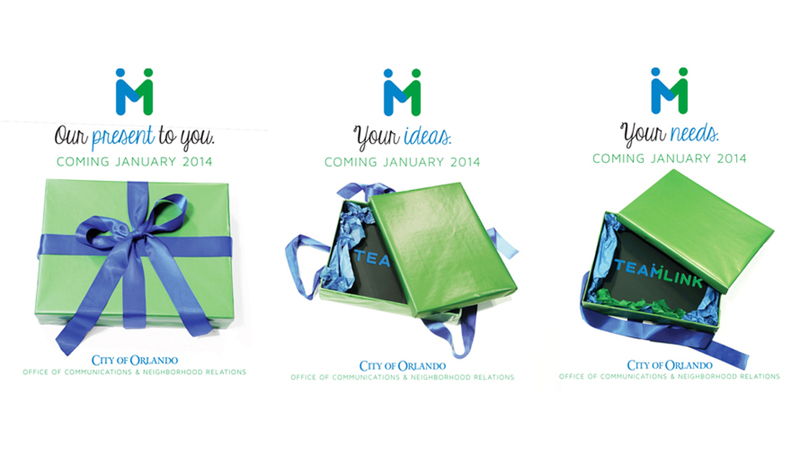 Ultimately, the color palette used was sampled from the official City of Orlando seal. Additionally, I designed the marketing campaign posters and “how-to” tutorial that were posted internally throughout City departments. 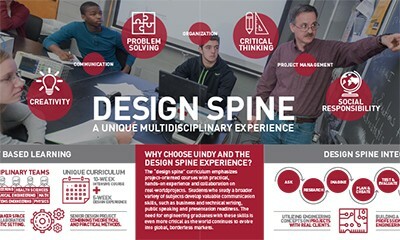 Graphics from the poster campaign were also utilized in the video announcing the launch.